Asteroid 2012 DA14, a chunk of rock about half the size of a football field, is due to fly past Earth on Feb. 15. The 143,000 ton-asteroid will travel just 17,200 miles above the planet, closer to the Earth than many man-made satellites. Amateur stargazers will be able to spot the asteroid with their backyard telescopes, though its speed across the sky will make it hard to track. NASA officials have said that DA14 is NOT on a collision course with Earth. NASA will hold a media teleconference at 2 p.m. EST, Thursday, Feb. 7, to discuss the event. 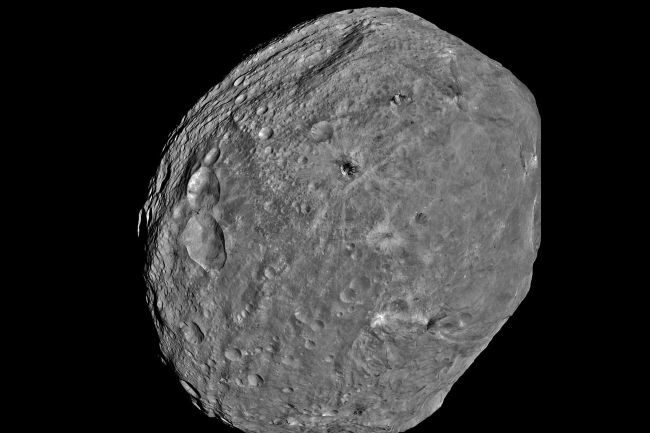 The flyby creates a unique opportunity for researchers to observe and learn more about asteroids. –Timothy Spahr, director, Minor Planet Center, Harvard-Smithsonian Center for Astrophysics, Cambridge, Mass. –Donald Yeomans, manager, NEO Office, Jet Propulsion Laboratory (JPL), Pasadena, Calif.
Reporters can obtain dial-in information by sending an email to Dwayne Brown at dwayne.c.brown@nasa.gov by noon Thursday. Requests must include the reporter’s name, affiliation and telephone number. 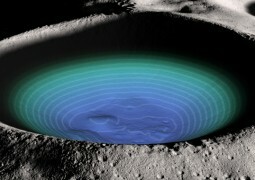 SSERVI researchers show how dynamic processes can cause volatiles from lunar polar craters to spill onto adjacent terrains.